New Delhi had mentioned the names of Mufti Abdul Rauf and Hammad Azhar, Masood Azhar's brother and son, in the dossier shared recently with Islamabad. Pakistan has promised to take action against proscribed outfits in the nation. Mufti Abdul Rauf Asghar, the brother of Jaish-e-Mohammed chief Masood Azhar, has been detained in Pakistan. Hammad Azhar, son of Masood Azhar has also been taken into custody by Pakistani authorities, the Dawn reported. Both of them are among the 44 under-observation individuals put under preventive detention for further investigation into their affiliation with outfits banned in the nation. New Delhi had mentioned the names of Mufti Abdul Rauf and Hammad Azhar in the dossier shared recently with Islamabad. However, declaring the arrests in a press briefing, Pakistan's Minister of State for Interior Shehryar Afridi said that the arrests were not due to any external pressure, but was in accordance to decisions taken by a high-level committee regarding National Action Plan (NAP). In its meeting yesterday, the panel had decided to ramp up action against proscribed organisations. Both Mufti Abdul Rauf Asghar and Hammad Azhar have been put in preventive detention for investigation. Afridi said that they will be released if no evidence is brought up against them. The action against under-observation individuals from banned outfits will continue for two weeks as per decisions taken by National Security Committee (NSC), while reviewing NAP. Notably, earlier reports suggest that Asghar indicated towards a suicide attack in India during a rally in Karachi nine days before the Pulwama terror attack. He had even mentioned the name of Ghazi Rashid, the mastermind behind the attack who was later killed by Indian armed forces during an encounter. 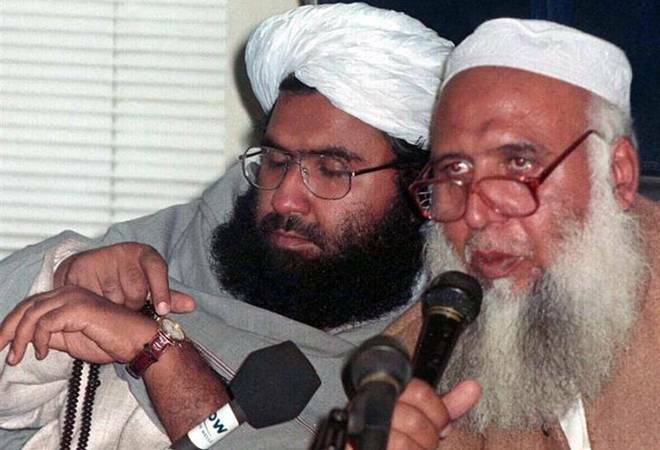 Asghar, the operational head of Jaish-e-Mohammed, is the younger brother of outfit's chief Masood Azhar and reportedly lives with him in Bahawalpur. He has been charge sheeted by several Indian investigative agencies for his role in several acts of terror against India. He is believed to be involved in the hijacking of Indian Airline flight IC 814 in 1999 to force the release of Masood Azhar from India's prison.